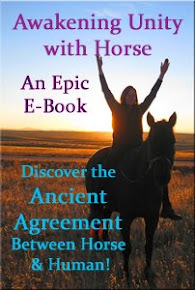 Equi-Heart Pledge: Thanksgiving Blessings from Horse! : 4 Wisdom Horse Messages about Using Gratitude to Uplift Your Life! Thanksgiving Blessings from Horse! : 4 Wisdom Horse Messages about Using Gratitude to Uplift Your Life! Today, the day before Thanksgiving, I tuned into the Healing Herd to see what they wanted to share about the true essence of Thanksgiving. As usual, the Herd had some very, very wise offerings about how to use gratitude to super-charge your life! Plus, you'll get to hear from the two newest members of the Herd, who share from their own experience about how to make use of thankfulness! 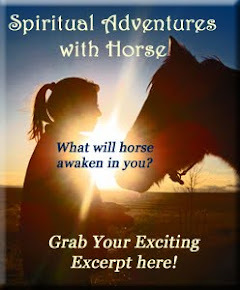 Let's tune in to receive a Thanks-Giving Blessing straight from the Heart of Horse! How will you give yourself the gift of thanks today? Please share and inspire others! More of the Herd wanted to chime in with their personal messages, so here are 3 more specific messages from some Herd Members about using Gratitude! And last, but never least, from the wise head of our Healing Herd, here's Seren with a suggestion to make gratitude matter more than once a year! Every november I try to post on facebook everyday what I am grateful for I want to daily think of things I am grateful now not just november :) I am very very very grateful to my horses! For me I really felt connected most to Legacy's message about choosing to be grateful. There are many things happening in my life now that have the potential to drag me down,that call at all the parts of me that are insecure and unsure of what direction to take. But when I can shift my focus and choose gratitude for even a brief moment, all the darkness falls away. My fear falls away and I am at peace knowing there will be answers for me tomorrow. Gratitude really is a gift in that moment. I attended a seminar recently sponsored by The Institute for Brain Potential. The seminar was "The Habits of Happy People". One of those habits is the expression of gratitude, which even helps us cope with stress and trauma. One of my goals is to live more in a place of gratitude and thanksgiving--to start each day by giving thanks, appreciating small blessings, smiling, letting go of small "injustices", savoring each moment.